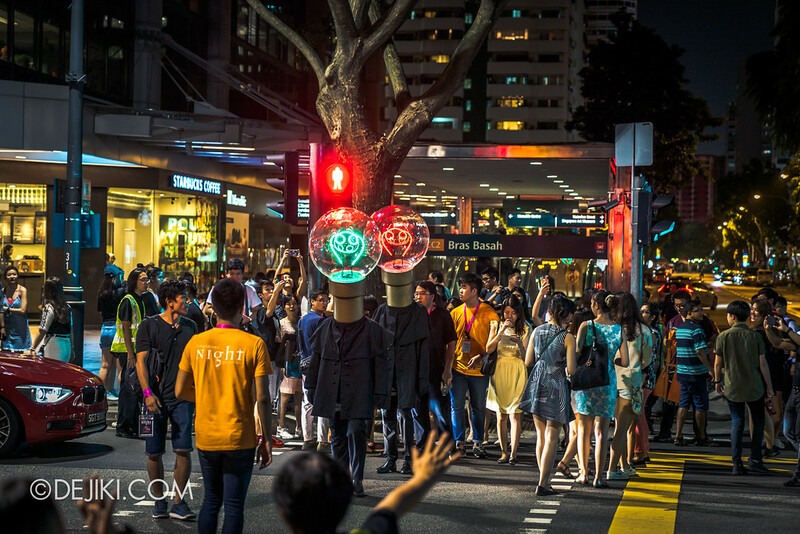 For three consecutive nights, Singapore Night Festival will showcase a myriad of performances and street experiences. In this entry, you can read about some of the shows, as well as handy tips to maximise your enjoyment. Admission is free to all performances featured. Showtimes are correct at time of publication. 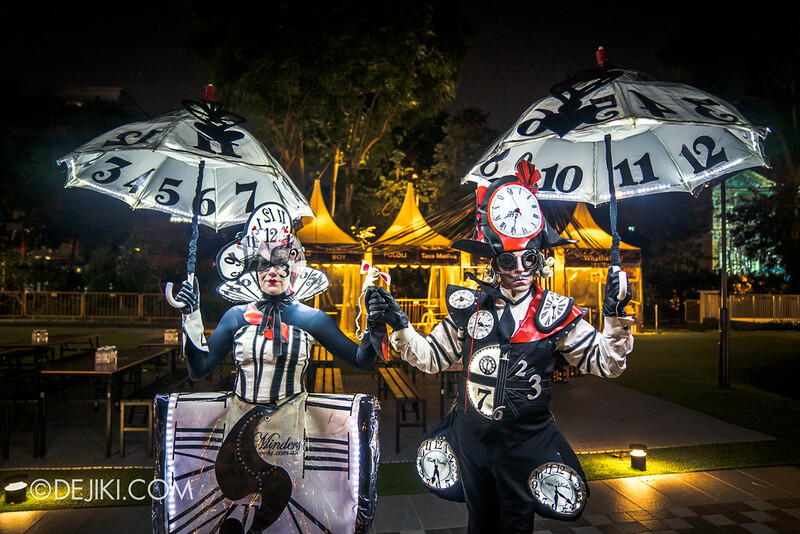 Singapore Night Festival reserves the right to make changes without prior notice. 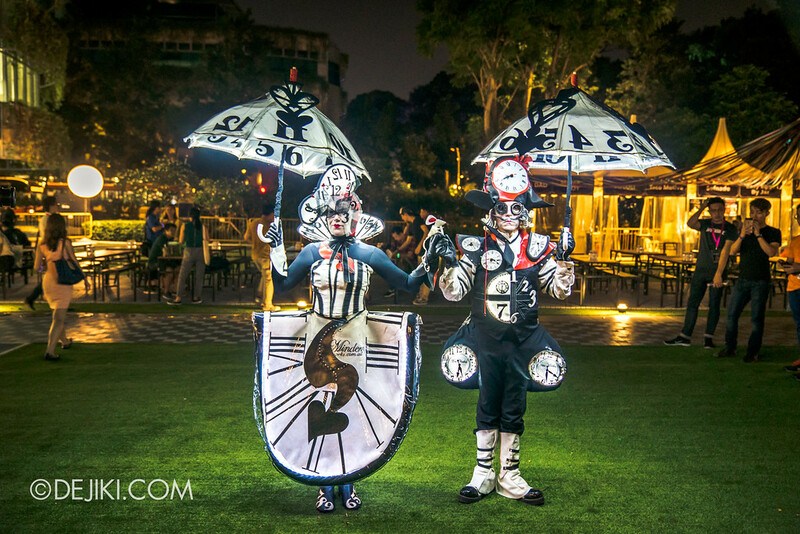 Close-Act’s show at last year’s Night Festival set mythical world creatures free into Singapore. 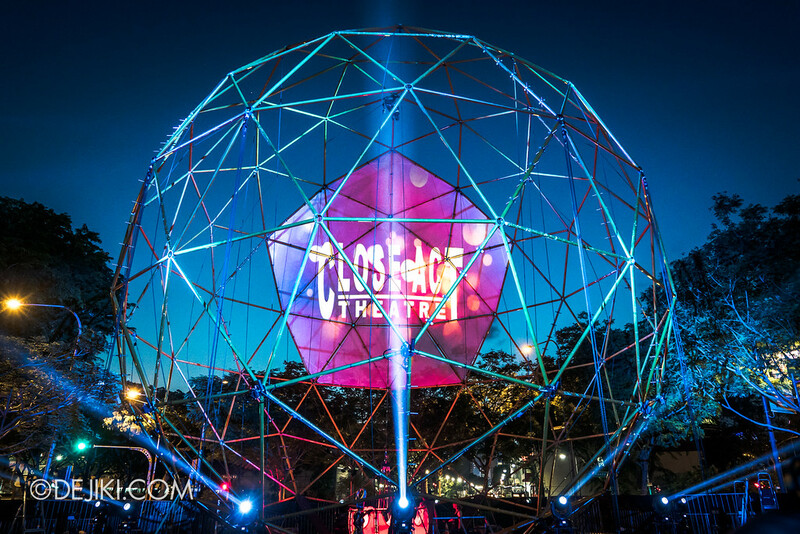 In this year’s GLOBE, you can let your imagination soar into Close-Act’s child-like fantasy world, as circus acts, pyrotechnics and other special effects build an immersive theatrical experience. 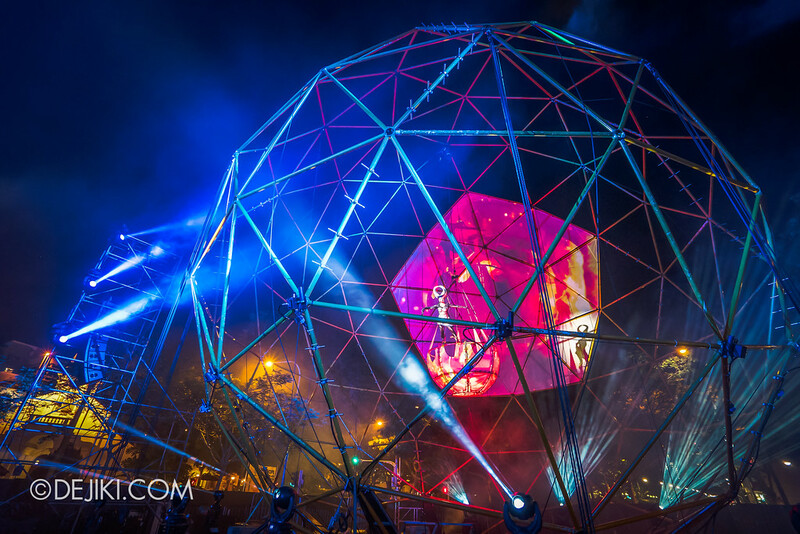 Performed within and around the sphere on Cathay Green, this show is definitely a must-see and expect massive crowds at all six shows. During the media preview, we were only given a 5-minute teaser. 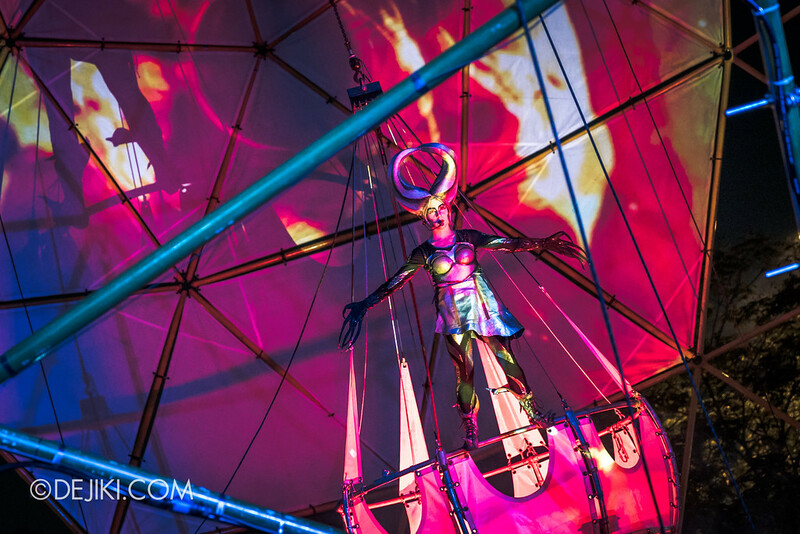 Festival visitors will be enthralled with a full 45-min show, with performers coming from behind them… and even from above. The performance area is barricaded and visitors will need to go through bag checks before entering the event venue. Travel light and arrive before the show starts for security screening. 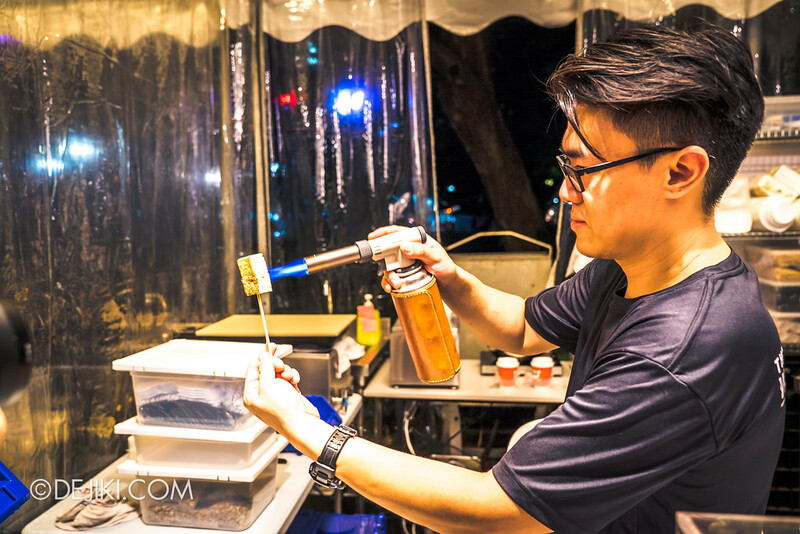 The following items are NOT permitted at the performance venue (Cathay Green): Weapons, illegal substances, foldable chairs, luggages, pets, buggies and bicycles and mobility devices. This show requires all viewers to stand, due to the nature of performance happening around the performance area. Visitors on wheelchairs may watch on a raised platform. Tripods, monopods and similar devices are not allowed at the venue. TIP: Express Lane is available for visitors who do not bring in any bags into the performance venue. So leave those bags at home, or in your car! During the show, performers will move between the audience, on the boards placed on the Cathay Green. Be careful and follow directions of the event crew. Avoid standing on the boards if you do not wish to move around. While it looks quite large here, Cathay Green has limited capacity. Be prepared to queue for a while if you’re too early or too late. Showtimes: 7:00pm – 8:30pm, 9:15pm – 9:45pm. Refer to Grapple MAX Facebook page for the match card. 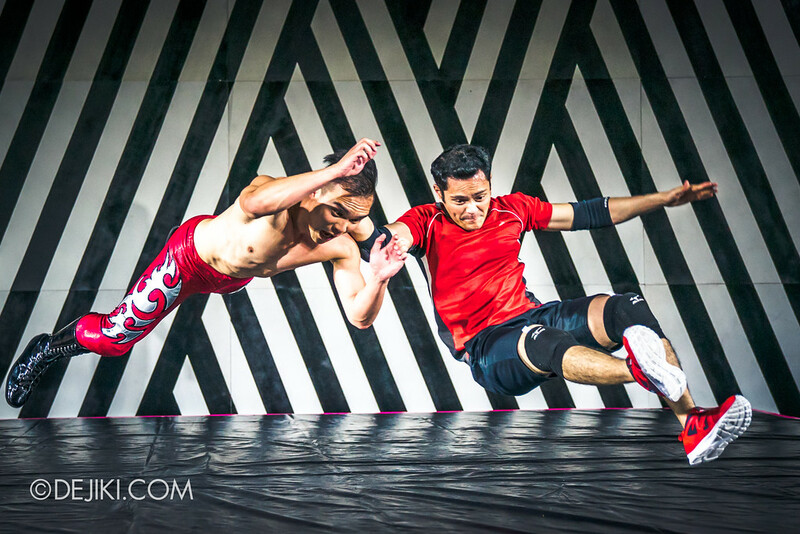 During the preview night: Greg Glorious vs “Showtime” Val Senan! This bout will happen again on 24 Aug, 7:00pm. For the full list of matches, refer to Grapple MAX Facebook page. 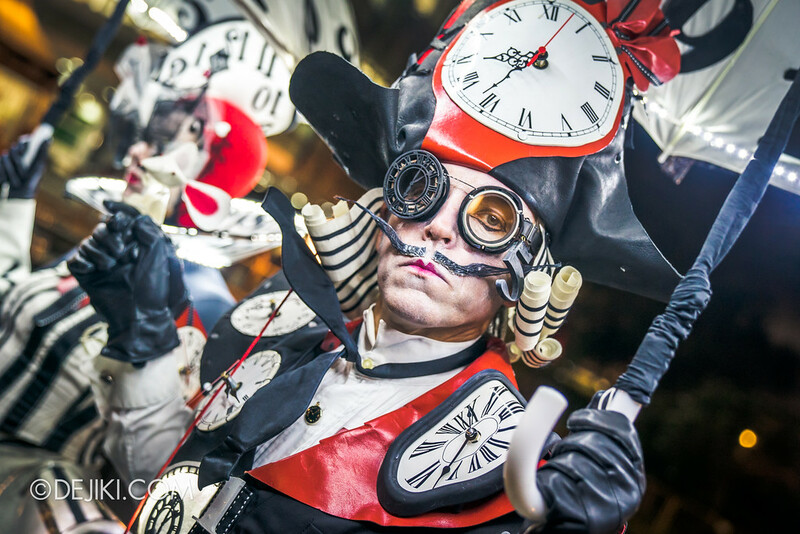 Wander through time with the bizarre Minders, in this work inspired by Salvadore Dali’s Persistence of Memory. 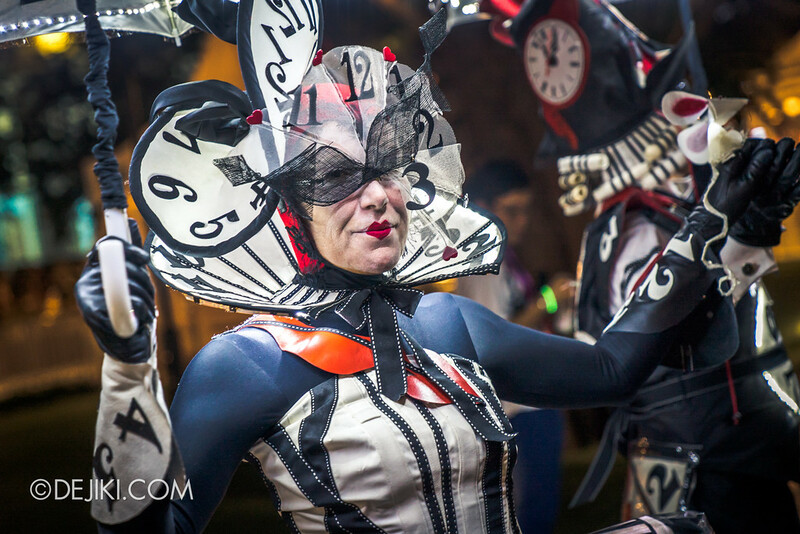 You just might get lost in time as the performance unravels. Behaving like automata, the Minders move in precise paces and a clockwork pattern of actions. 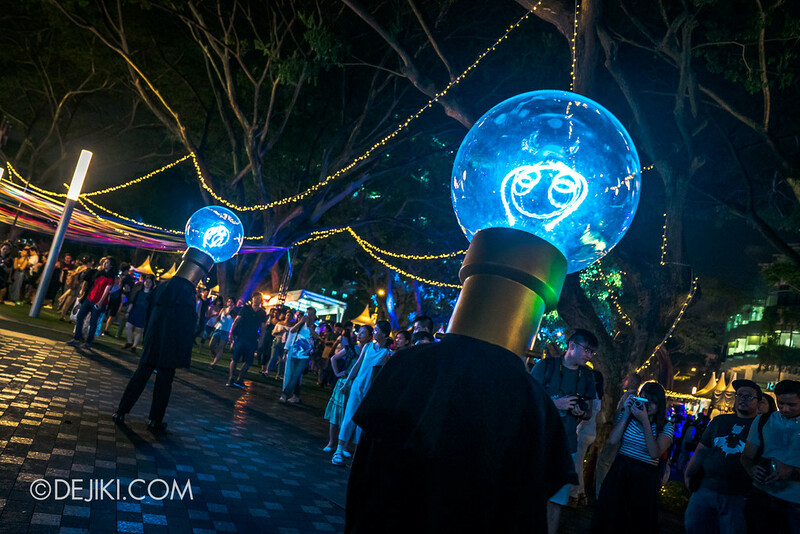 This pair of giant filament ‘bulbs’ shine brightly as they roam about the festival grounds. In between the shows and photo taking, you’ll want to fuel up (with hipster festival food, so that you can ‘conveniently’ buy it for the ‘gram) and chill out with some live music. 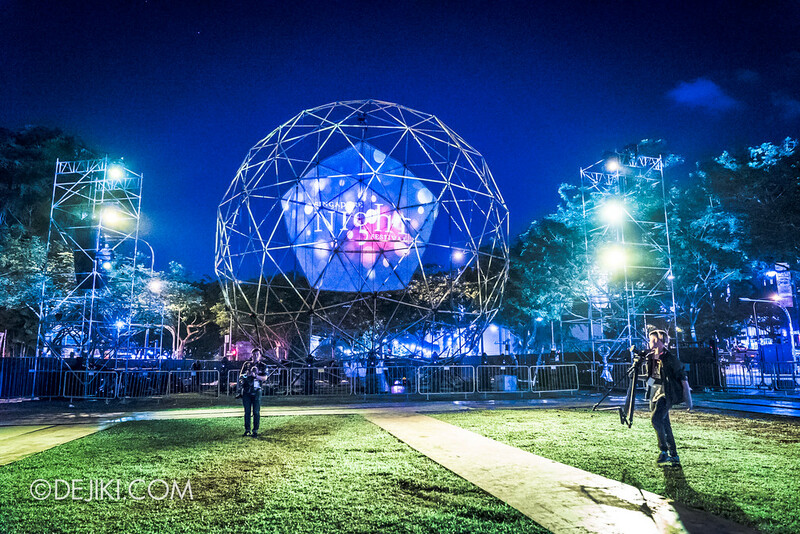 You might even catch some roving performance acts here. 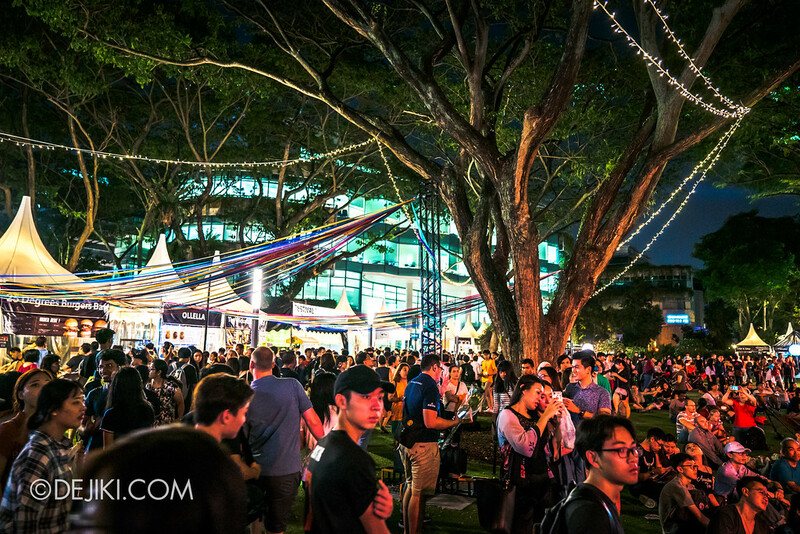 This year’s Festival Village is expansive, taking up much of the flat walking spaces at SMU Green since the entire area is now open (last year, some parts were under renovation). TIP: Fast Lane for Apple Pay users. Select stalls at the festival village will have an dedicated lane for visitors who pay using Apple Pay. There is even an Apple Pay tent for you to charge your iPhone and iPad. 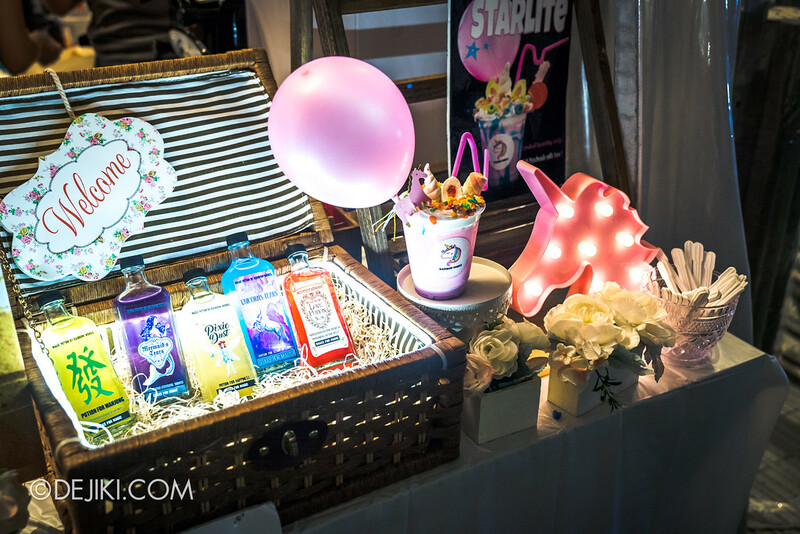 Rainbow Works – grab your ‘grammable drink bottles. 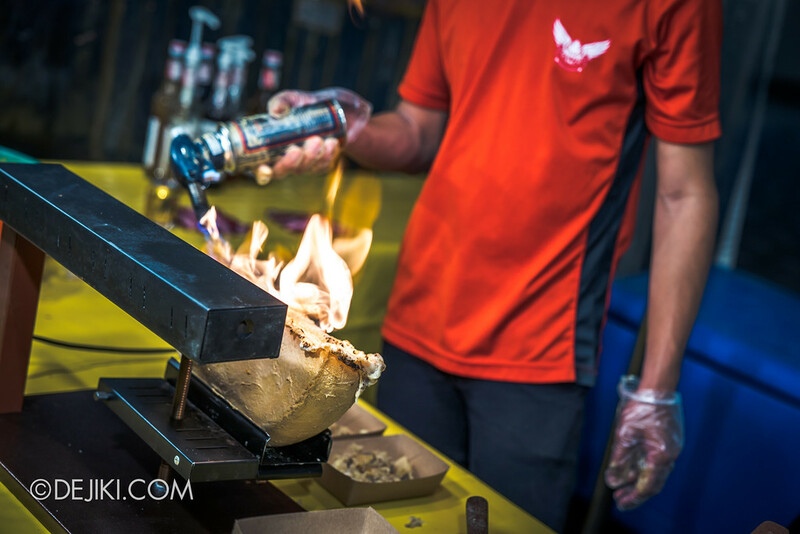 The Raclette Factory – for your melty cheese cravings. 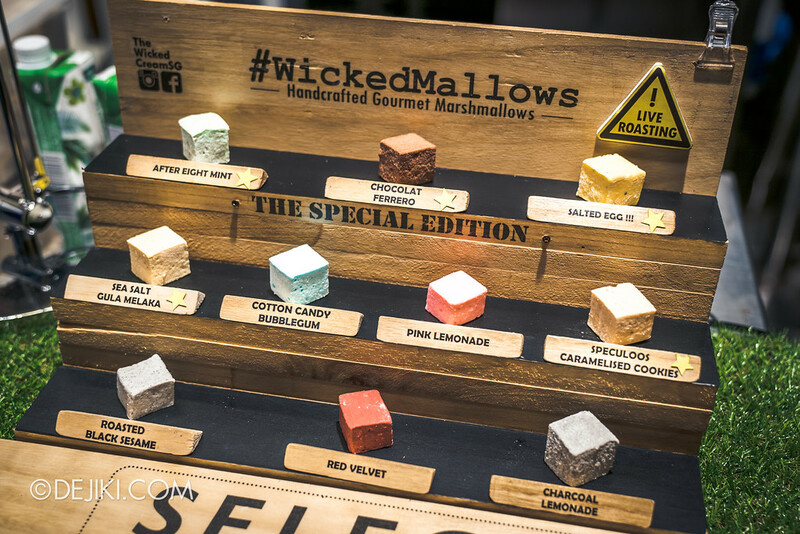 The Wicked Cream – ‘wicked’ marshmallows, roasted LIVE! Lots of delicious flavours! 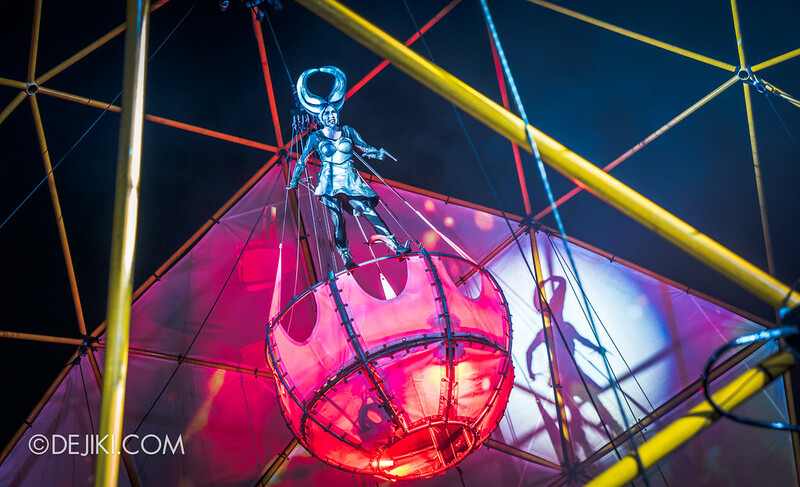 Nights Lights at Night Festival 2017! 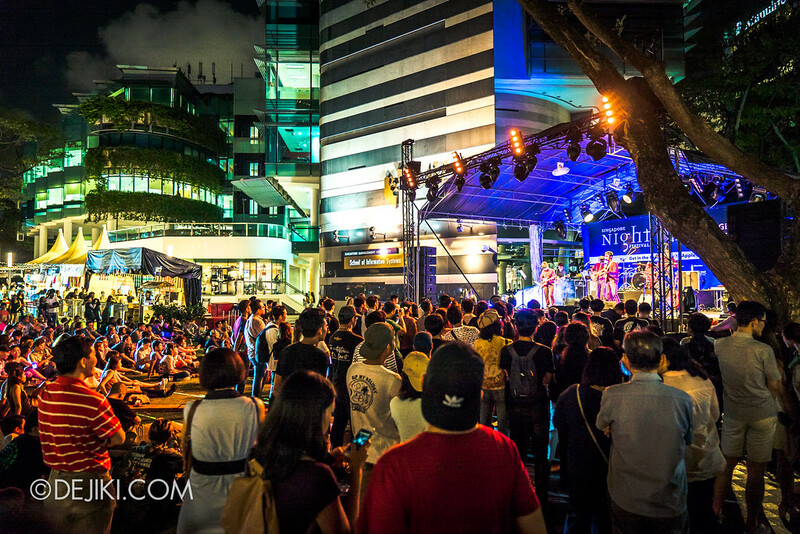 For a full list of night lights and upcoming programmes, visit the Singapore Night Festival website.